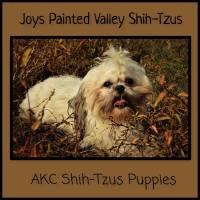 AKC - A variety of colors and markings; Solid and broken colors. Our puppies are raised with care and much attention, well socialized with my children as well as adults. They will come to you with 1st set of shots & 3 rounds of deworming, started on housetraining outside and ready to become a devoted member of your family. All parents are on site. I have 20 years of breeding experience.